The fifth-generation, 2017 Mercedes E-Class prepares for its glitzy world-debut this January. Until then, we get our first look at the base-spec analog dials. And it’s certainly not a sight to behold. Coupled with the small 8,4-inch central display dedicated to the Audio 20 entry-level multimedia system with Garmin navigation module, the classic speedometer and rev-counter somehow seem caught in the past. Gone are the dual 12.3-inch displays with digital instruments and the state-of-the-art Command infotainment master. And with them the sense of sheer luxury and occasion painted by the first official pictures showing the E-Class’ interior. The center console is unchanged and still houses the four round air vents and – right under the buttons for the climate control; the luxurious-looking analog clock. 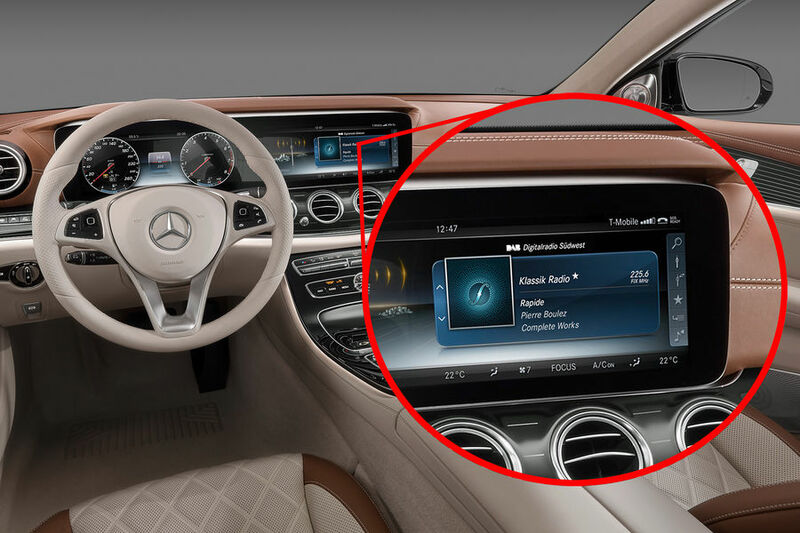 In basic guise, the 2016 Mercedes only features the central display with a screen diagonal of 21,3 cm and a resolution of 960×540 pixels. 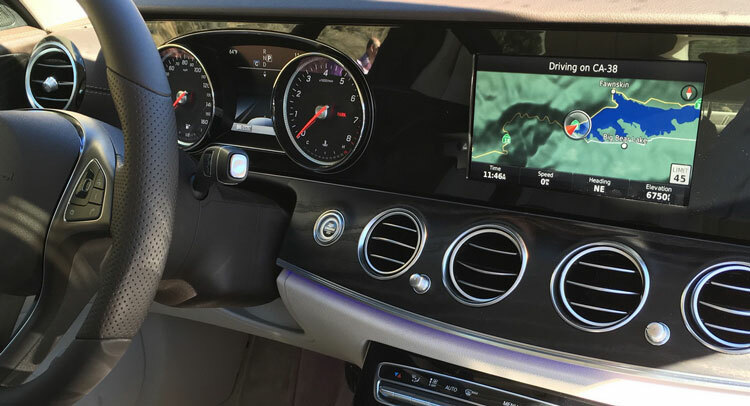 Instead of the electronic instrument cluster, the driver looks at two classic round dials integrating a 7-inch color display showing various information provided by the journey computer, the navigation etc. The dual touch sensitive touchpad arrangement placed on the steering wheel spokes is still present, though. These allow the driver to access and navigate through the infotainment system by swiping motions. Additional classic switches control the volume or the phone features. 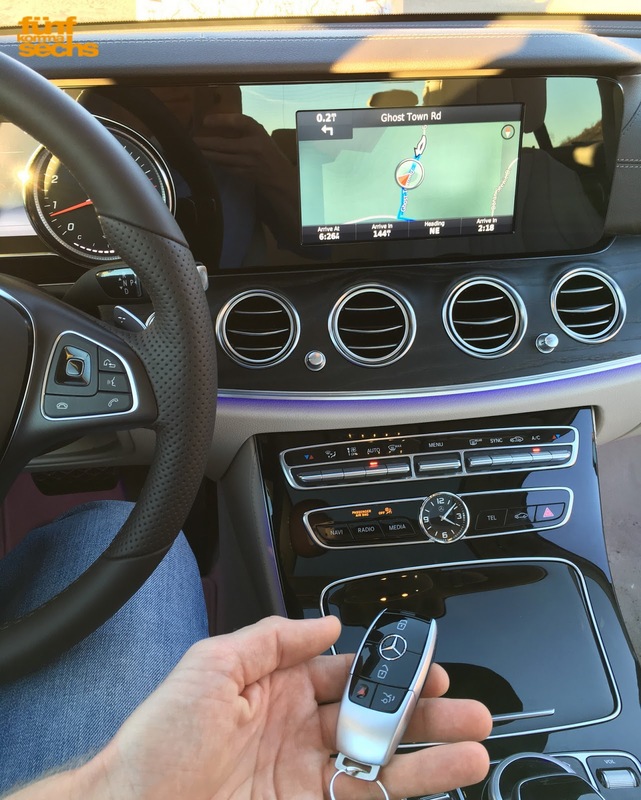 Mercedes E-Class’ key also seems to be entirely new, with an elongated remote fully clad in premium-looking aluminum. 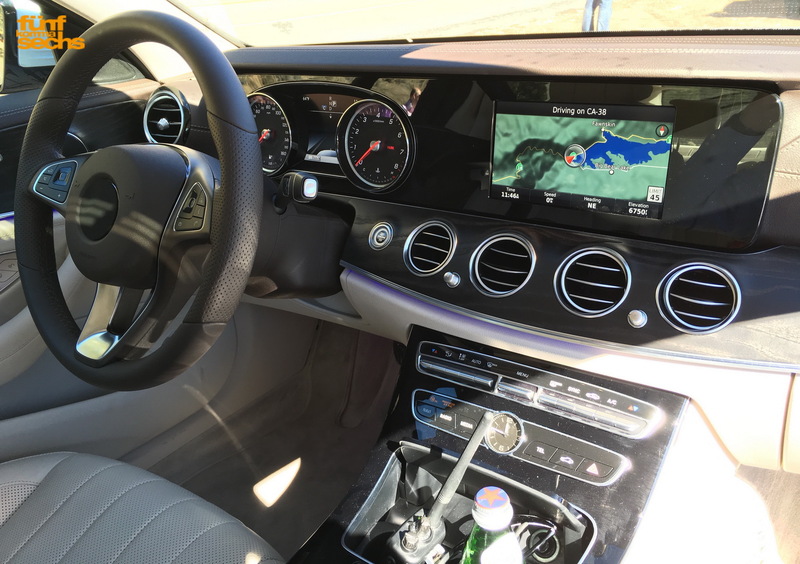 When specced with the dual-display interior arrangement, the traditional instruments are virtually displayed in the widescreen cockpit while the center console hosts the central display directly connected to the infotainment system of the E-Class. Informative graphics and animations take alternatively 2/3 of the display on the right, while the remaining 1/3 section displays additional (also configurable) information. 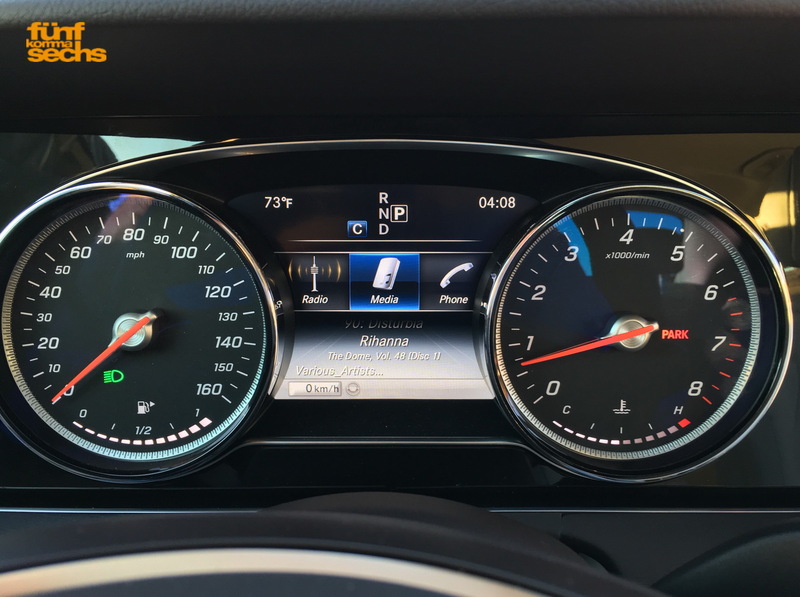 Three display themes (Classic, Sport and Progressive) can be chosen, altering the look of the instrument cluster and the content shown in each screen. We’ll learn more about the shiny new gadgets accompanying the all-new Mercedes sedan in January, following the Detroit motor show premiere.